You’ve decided it’s time to straighten those crooked teeth or that misaligned bite, but you’re weary of conventional braces. Invisalign® – the process of wearing a series of clear, removable aligners – may be the ideal treatment for you! Ready for an Invisalign Consultation? 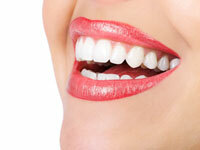 Who is Invisalign® treatment right for? Invisalign® is an effective solution for both teens and adults who would prefer a virtually invisible teeth straightening experience. Invisalign® treatment’s cutting-edge advancements allow us to treat nearly all cases – simple and complex – with the most low-profile and convenient method possible. Dr. Ardekani will meet with you for a consultation to evaluate your smile and create a treatment plan tailored to your specific needs. Once your customized aligners are ready to go, you’ll wear them 20-22 hours a day. You’ll receive a new set of aligners every 1-2 weeks. Each set of aligners will gently shift your teeth into place and transform your smile. Since Invisalign® moves your teeth, it’s quite common to feel a small bit of pressure the first day or 2 of wearing a new set of aligners. Typically, the pain is minimal, and patients can adequately control any mild discomfort with over-the-counter medications. Generally speaking, treatment time is 12-18 months, but the length of the precise, digital plan mapped out by Dr. Ardekani depends on your specific needs and how often you wear your aligners. How often can I take my aligners off? Yes, you can take them off when you are eating, drinking, brushing, and flossing, and if necessary, for special occasions. But remember, for the best results, wear them 20-22 hours a day. It is important to brush your teeth and your aligners after every meal to keep them from becoming stained. Simply clean your aligners with a toothbrush, toothpaste, and lukewarm water. Hot water can warp the plastic. Every case if different, but most orthodontic patients who have completed traditional braces or Invisalign® treatment are advised by Dr. Ardekani to wear a retainer to keep the teeth from shifting back to their original position. We will provide you with specific instructions for follow-up care.